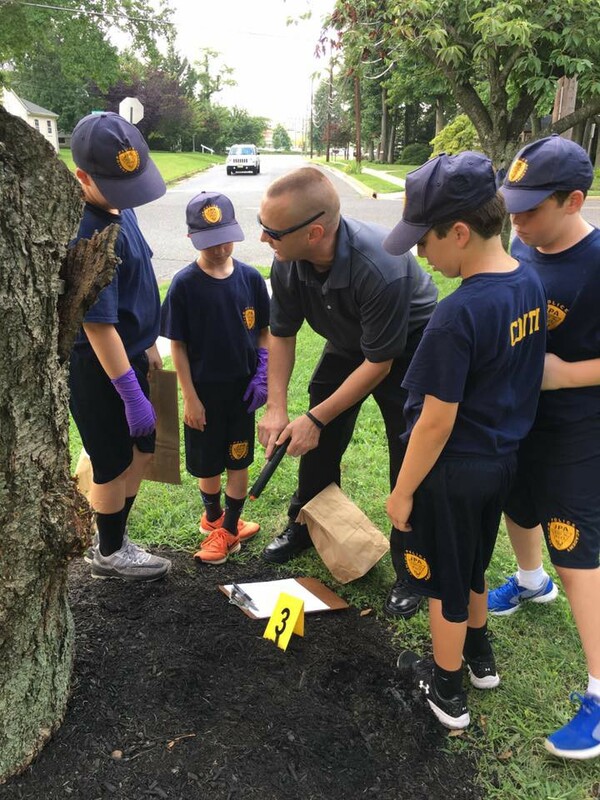 The police department has developed a strong bond with Cherry Hill’s youth through the academy, with current cadets coming out of their shell in the weekly program and former cadets volunteering to help the police at community events. 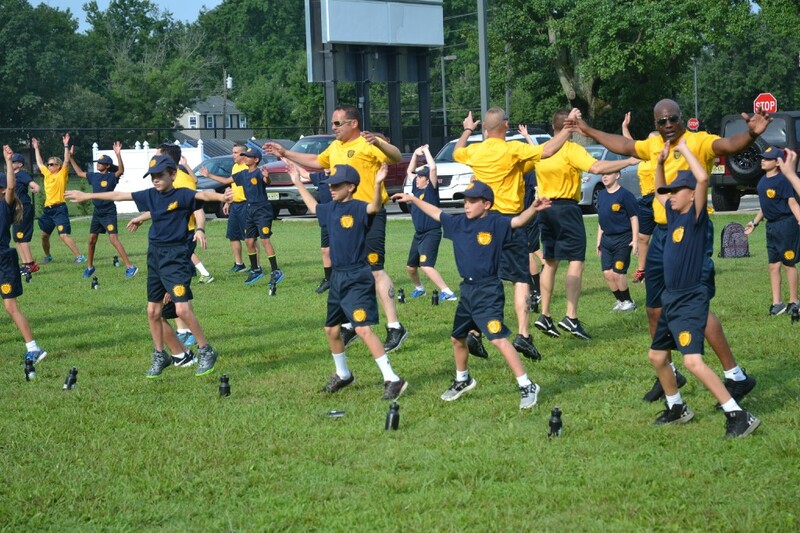 Cadets in the 2017 Cherry Hill Junior Police Academy were challenged to perform jumping jacks as part of their physical training last week. 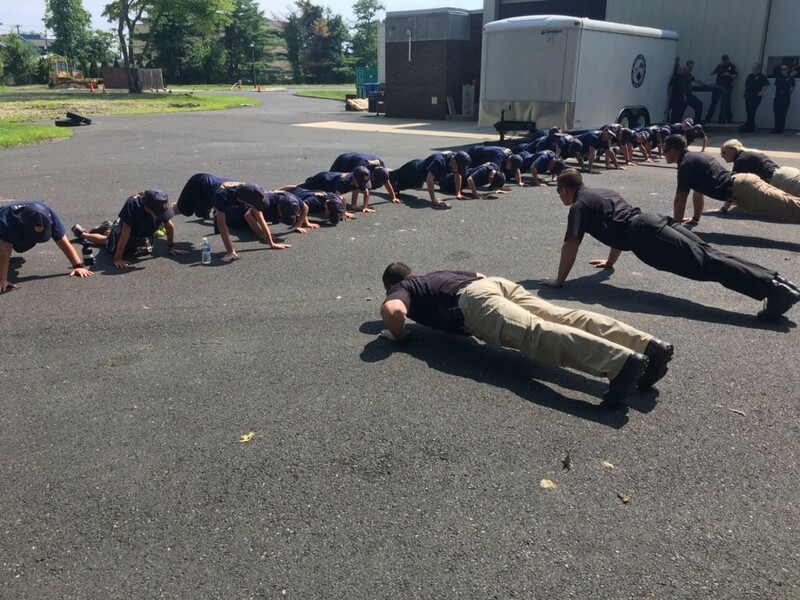 Each morning last week, the Cherry Hill Police Department’s third Junior Police Academy class could be found doing physical training on the fields next to the township municipal complex. The group of 40 kids ages 11 to 14 did a variety of exercises and went for a run alongside members of the Cherry Hill Police Department, pushing through hot weather and fatigue to achieve their goals for the day. The kids marched in formation around the municipal complex, where they learned about topics ranging from traffic safety and crime scene investigations to drug awareness and first aid. At the Cherry Hill Junior Police Academy, kids enter eager to learn what it takes to become a police officer. However, there’s a bigger lesson the kids take away. 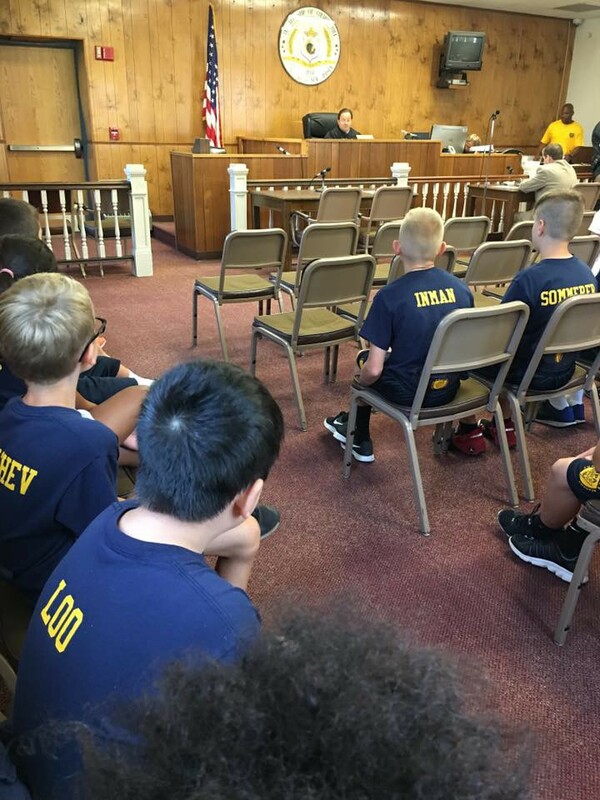 Building a strong-willed, responsible and determined group of Cherry Hill kids has been a big goal for the police department with its junior police academy program. So far, it has been successful. Since its first year in 2015, the academy’s popularity has exploded, and there is a wait list for people who want to enroll. 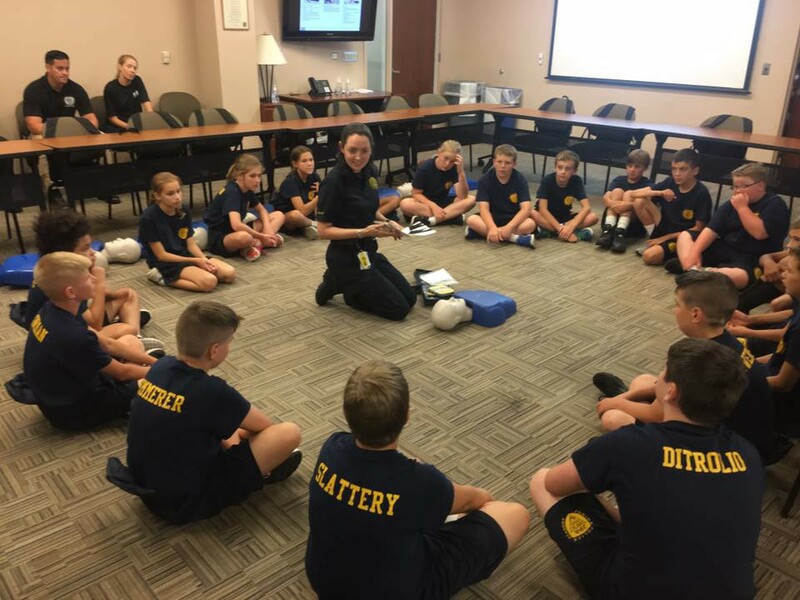 Cadets in the Junior Police Academy got to visit Cherry Hill Township Municipal Court (left) and learned CPR (right). Those who have been a part of the program have seen the transformation of the dozens of kids who have graduated from the academy. Police chaplain and Nafshenu Rabbi Larry Sernovitz described how the kids grow into strong, responsible community members in as little as a week. Sgt. Keith Mahan has been a key part of the academy since its inception. Mahan leads the class through each day’s activities and conducts physical training and drill and ceremony with the cadets. He demands 110 percent from each cadet and encourages them to be the best person they can be. Cadets from the Junior Police Academy have remained connected with the police department even after graduation. Academy graduates are invited to help the police department at community events such as National Night Out, Cherry Hill Township’s Harvest Festival and the Martin Luther King Jr. Day of Service. The program hasn’t just had a positive impact on the kids. Police officers and volunteers who have participated in the program say they’ve learned a lot from the kids as well. The police department is excited to continue the academy well into the future. Winters said past participants have asked to attend the academy again. The academy is only open to new attendees due to the high demand and wait list, but the police department is exploring adding a second advanced course in the future. “We’re going to try and develop an advanced JPA class for those who completed the first course, that way we can expand upon it and take it a step further,” Winters said.